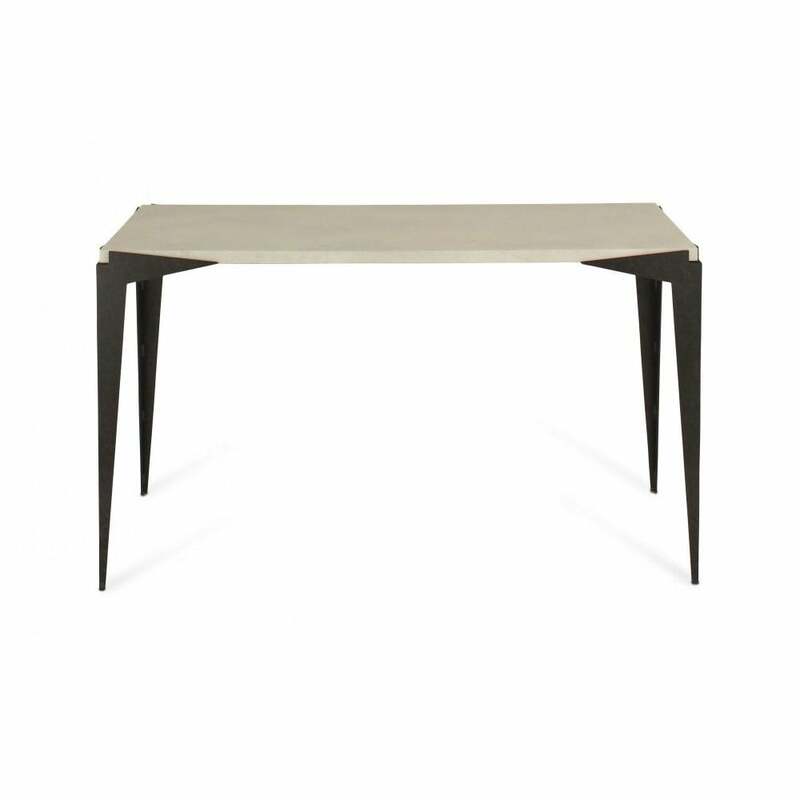 Make a statement with the bold, sleek profile of the Equinox Console table by Porta Romana. The sculptural form is hand-crafted from polished steel and finished with a decorative texture. With a stylish notch detail in each corner, the Equinox Console table is a testament to high-quality precision. The Equinox has two identities; dramatic in the Bronzed and Faux Slate or precious looking in the Gold and Faux limestone combination. A classic piece with designer appeal, this versatile console table works beautifully in both period properties and modern homes. Available in a range of custom finishes. Make an enquiry for more information.